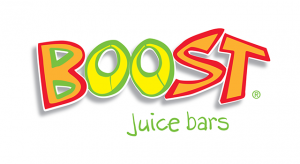 BOOST juice in the name on the parched lips of thousands of Australians. They are funky, hip and use social media in a way that fully engages and entertains their followers. Led by the dynamic entrepreneur, Janine Allis, Boost continues to go from strength to strength. In over 420 stores that stretch across 13 countries. Founded in Adelaide in 2000, the equation is so simple, why didn’t someone think of it earlier. Take the freshest and most delicious ingredients, bland and serve…then repeat, repeat, repeat. It has truly become a status symbol. Walk around any shopping centre in Australia and you will no doubt see the mandatory teen complete with Boost cup in hand. Little wonder when you uncover the fact that the brand trades under the ethos of health, fun and love for life. We had been in discussion with Christian McGilloway, the head of Digital at retail Zoo, since meeting him at a Leaders Summit in New South Wales mid last year. We had through our various interactions become very aware of the tongue in cheek manner that governs their social media. Christian approached us and asked us to put forward some concepts that would evolve and become four or five ten seconds social media clips with fruit at their heart. OK, let’s go. Social media for Boost is all about the ability to get their followers to feel related to. They want responses like “This is so me”. We sat down as a team and started by listing funny fruit related ideas. Finding Bananas not appealing, an apple a day keeps the doctor away. That general sort of thing. As all good creative sessions what we started with and where we were at the end of the session were poles apart. We came away with six to ten solid ideas to pitch. We pitched to two members of the social team at Boost. The concepts were massaged on the spot, more creative flow. At the end of a fifty-minute meeting we came away with six very well rounded and complete concepts to start putting together. We then went away, formalized and scripted the concepts and submitted them for approval. In the meantime we threw the casting net out for two male and two female actors/comediennes that wanted to part of the on camera fun. An avalanche followed. We whittled the list to four and started for a filming date. On the shoot day, scripts were at the ready. The talent immediately gelled with the production team and it was one-liners at one hundred paces. All throughout the day, due to the comedic timing of the talent, the scripts took on a life of their own. The actors were fantastic, reveling in the freedom of silliness and ad-libbing. It was a long day, but no one complained. We didn’t stop laughing long enough. The outcome was a suite of social media ten second clips. The first of the series was launched by last recently and within three days had been viewed by a staggering 185,000 people. That means that while watching this funny content, that user was immersed in Boost. And this immersion happened 185,000 times. And that is only video number one. Stay following their social media for the rest of the installments. Social media is the closest touch point many of us have to our client base. When you learn how to leverage it properly the results can be through the roof. Maybe it’s time you gave your social media a “Boost”.